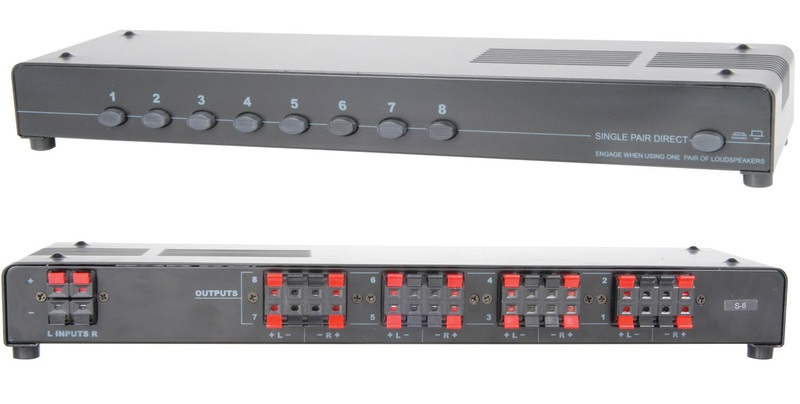 This switcher unit allows the distribution of a stereo amplifier. Simply connect the output of an audio amplifier to this unit and the output can then be distributed to up to eight different stereo speaker sets in eight different locations. Each speaker set can be individually activated via the push buttons on the front of the box. Ideally suited for buildings where an independent sound control is required for different rooms or zones.